Gripsweat - northern soul THE SPRINGERS Every Night and Day VES-THAD 423 M- listen!! 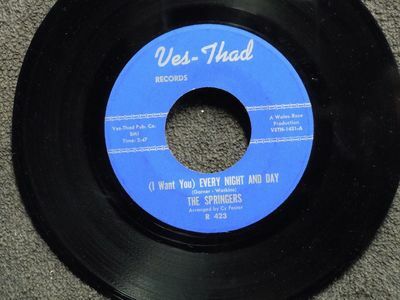 northern soul THE SPRINGERS Every Night and Day VES-THAD 423 M- listen!! ADDITIONAL NOTES ORIGINAL COPY-NOT A REISSUE!!! .I will provide multiple record postage quotes at your request. Postage will be paid by the buyer. No handling fees will be charged.